NT Bird Specialists are excited to be Local Organising Committee members for the 2019 Australasian Ornithological Committee (AOC) to be held in Darwin, 3-5 July 2019. As well as helping to coordinate the conference, we have also scheduled pre and post conference tours and will deliver some conference excursions. 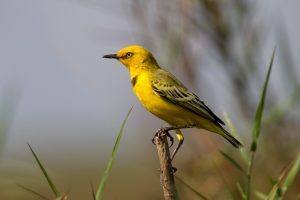 Conference birdwatching excursions will occur on the morning on 6 July 2019. Watch this page for more excursions information. 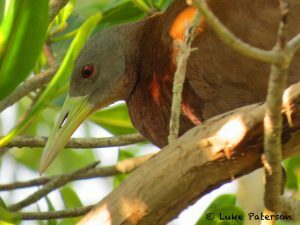 Join renowned Top End Bird Guide Luke Paterson on exceptional birding and wildlife adventures in 2019 and special tours rates for AOC delegates and Birdlife Australia members. Tour Summary – Join NT Bird Specialists on a ’Birding Frenzy’ of the best finch, raptor and waterbird viewing sites spanning the Top End starting and finishing in Darwin. Scour the countryside for over 10 species of finches, including the fantastic and colourful Gouldian, Long-tailed, Masked and Star finches, as well as Yellow-rumped and Pictorella Mannikins. Seek locally endemic bush birds, parrots, sandstone specialists and a plethora of geese, ducks and other waterbirds that call this part of the country home. We’ll tour from Darwin into the famous Kakadu National Park, through Katherine and Victoria River regions to Timber Creek. We then make our way back to Darwin via Pine Creek. Email luke@ntbirdspecialists.com.au for more information and bookings. 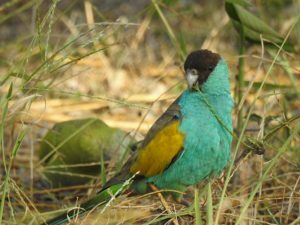 Tour Summary – 10 species of parrots, including the locally endemic Hooded Parrot, Red-winged Parrot, Cockatiel and Northern Rosella, rightfully makes the historic gold mining and railway township of Pine Creek the ‘Top End’s home of parrots’. 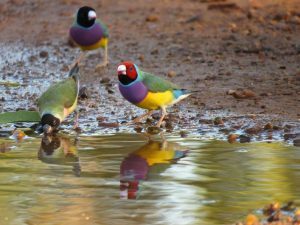 With 5 common finch species breeding in the region, including the spectacular Gouldian Finch, it’s no wonder why guests love seeing these inland bursts of colour on this two day bird watching tour in Pine Creek. Let NT Bird Specialists highlight the vivid contrasts in landscape and bird life the coast to inland country has to offer when exploring the ‘Parrot and Finch Paradise’ of the Darwin and Pine Creek regions. Tour Summary – NT Bird Specialists’ ‘Ultimate Top End Birding Adventure’ tour discovers some of the most remote and impressive landscapes and targeted bird and wildlife species in one fowl swoop! This one way bird watching tour departs Darwin, Northern Territory. Mouth-watering birds include: Yellow Chat, Spinifex Pigeon, Gouldian Finch, Purple-crowned Fairywren, Rainbow Pitta, Chestnut Rail, Rufous Owl, Red Goshawk, Banded Fruit-dove, White-lined Honeyeater, Chestnut and White-quilled Rock Pigeons, Hooded Parrot and honeyeaters galore. This tour starts in Darwin and makes it’s way to Lake Argyle and Kununurra in the East Kimberley, exploring Kakadu and Timber Creek along the way.